Amazon has been a consistent recipient of Trump’s ire. He is sore because its founder and CEO, Jeff Bezos, owns The Washington Post, which has reported unfavorable developments during his campaign and presidency. WEST PALM BEACH, Fla. — President Donald Trump escalated his assault on Amazon.com on Saturday, accusing the online retail giant of a “Post Office scam” and falsely stating that The Washington Post operates as a lobbyist for Amazon. In two morning tweets sent during his drive from his Mar-a-Lago estate to the nearby Trump International Golf Club, the president argued that Amazon costs the U.S. Postal Service billions of dollars in potential revenue. Trump has repeatedly advanced this claim even though federal officials have explained to him that Amazon’s contracts with the Postal Service are profitable for the agency. Amazon has been a consistent target of Trump’s ire. He is angry because its founder and CEO, Jeff Bezos, owns The Washington Post, which has reported unfavorable developments during his campaign and presidency. The president also incorrectly conflated Amazon with The Post and made clear that his attacks on the retailer were inspired by his disdain for the newspaper’s coverage. He labeled the newspaper “the Fake Washington Post” and demanded that it register as a lobbyist for Amazon. The Post and Bezos have responded to Trump’s lobbyist claims in the past by declaring that Bezos is not involved in any journalistic decisions at the paper. Trump did not specify what report claimed the $1.50-per-package loss. Amazon lives and dies by shipping, and an increase in the rates it pays could certainly do some damage. 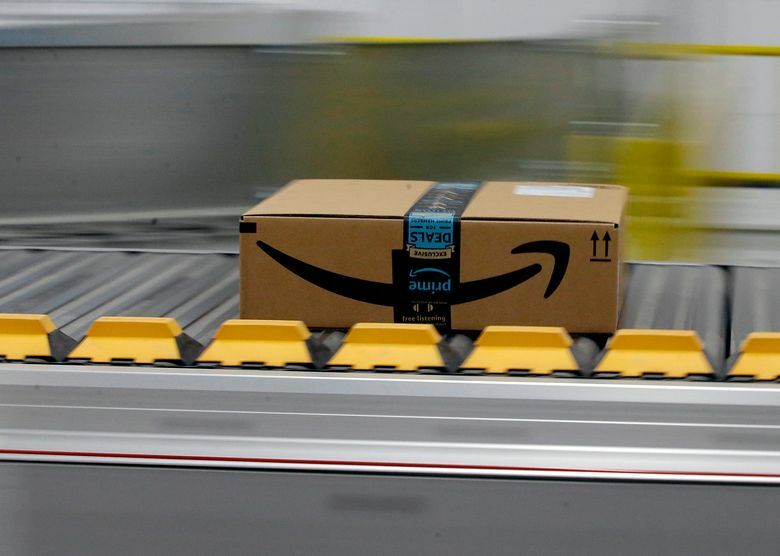 Amazon sends packages via the post office, FedEx, UPS and other services. But while the U.S. Postal Service has lost money for 11 years, package delivery — which has been a bright spot for the service — is not the reason. Boosted by e-commerce, the Postal Service has enjoyed double-digit increases in revenue from delivering packages, but that hasn’t been enough to offset pension and health-care costs and declines in first-class letters and marketing mail. Together, letters and marketing mail make up more than two-thirds of postal revenue. In arguing that the Postal Service is losing money on delivering packages for Amazon, Trump appears to be citing some Wall Street analyses that argue the Postal Service’s formula for calculating its costs is outdated. A 2017 analysis by Citigroup did conclude that the Postal Service was charging below market rates as a whole on parcels. Still, federal regulators have reviewed the Amazon contract with the Postal Service each year and determined it to be profitable. A spokesman for the U.S. Postal Service declined to comment. An independent agency, it does not use taxpayer money for its operations. In fact, Amazon does collect taxes on products it sells to customers in the 45 states that have sales taxes, although items sold by third-party vendors may have different arrangements. Beyond Trump’s use of his bully pulpit to attack Amazon, the White House has indicated that there are no plans to take action against the company. But White House officials have struggled to back up Trump’s theories about the retailer. Asked why Trump thinks Amazon is hurting the Postal Service when experts say it ships so many packages it helps keep the Postal Service in business, Walters offered no explanation. Still, Trump’s attacks, irrespective of their factual accuracy, could hurt public confidence in the company. After Axios reported Wednesday that Trump was “obsessed” with Amazon, the company’s shares fell more than 4 percent. They continued their decline Thursday, when Trump tweeted, falling more than 3.8 percent in morning trading. The share price recovered once Walters said there were “no actions at this time,” and it was up 1.1 percent for the day by the close of trading.